I work in a flood resilience team in East Anglia and my role focuses on working with local communities to help them understand their flood risk https://floodsdestroy.campaign.gov.uk/. Working with communities across such a diverse area is in my (unbiased!) view one of the best jobs at the Environment Agency. My team is also responsible for maintaining the flood warning service locally; training our duty officers; working with partners as well as communities to improve their resilience to flooding; and give advice which can help recovery happen faster if it does flood. Since the tidal surge in December 2013 – the biggest flood of our shores since 1953 – we’ve worked with community groups up and down our coastline. We have to remember every community is different and we can't use a one size fits all approach. ‘Community' can be a difficult term to define. Are we talking about a community because they live within one parish? Or are we talking about a community that is based in and around a rugby club for example? One group we’ve been working closely with are in Snape on the Alde Estuary. Snape and Snape Maltings on the Suffolk coast are most famously associated with composer Benjamin Britten, but on the night of 5 December 2013 more than 20 homes flooded and residents were moved out of their houses for months. Afterwards the community rallied round to review and improve their community emergency plan. 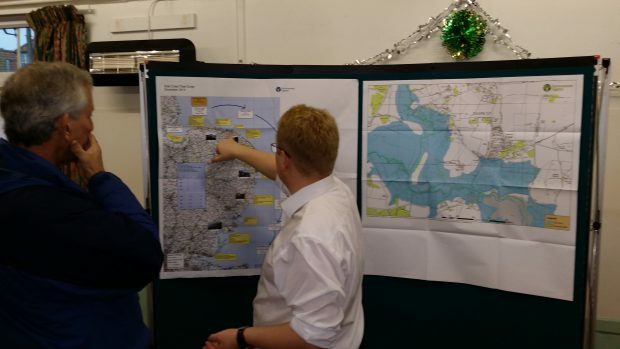 I worked with residents following the tidal surge to help them draw their experiences together and write a flood plan based on what had happened during the tidal surge. The plan was tested the following October when we had a high tidal surge come up the estuary. Thankfully it came a low tide and no properties were flooded. As flood warnings were in place it allowed residents to test their plan and make sure those at risk of flooding were aware and taking appropriate actions. More recently I have been working with Broadland District Council, the Broads Authority and the Met Office. 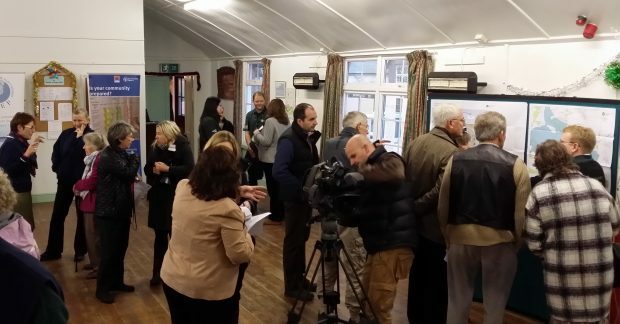 We organised a community resilience workshop to work with communities across the Broads to help them understand the risks they face from flooding and the impact of a changing climate. We are already looking to replicate it in the Great Yarmouth area. As a team we are constantly looking to learn lessons from previous events and exercises. Following the 2013 tidal surge we were informed by a member of the public that it would be really helpful to know how long it would take for high water to travel up estuaries and affect communities. We’ve now changed how we work so we are able to provide an estimate of the time we anticipate a community could be affected following a coastal flood warning being issued. I certainly don't work in isolation. We have a network of flood resilience engagement advisors based around the country. We use our experiences to share best practice and help each other. My colleagues and I visited Cumbria following the last winter’s floods to work with communities which had flooded. My wider flood team has a diverse remit working on all things flood response. We spend a lot of time working with our professional partners, such as the emergency services, to improve understanding of flooding and response needed. Working together means we can quickly understand their needs and help them respond to our flood warning messages. My team also trains Environment Agency duty staff (those ready in case it floods) so they can respond quickly and efficiently when it floods and give the best possible response to the communities we serve. Our duty team is on standby 24/7 ready to respond should they be required.